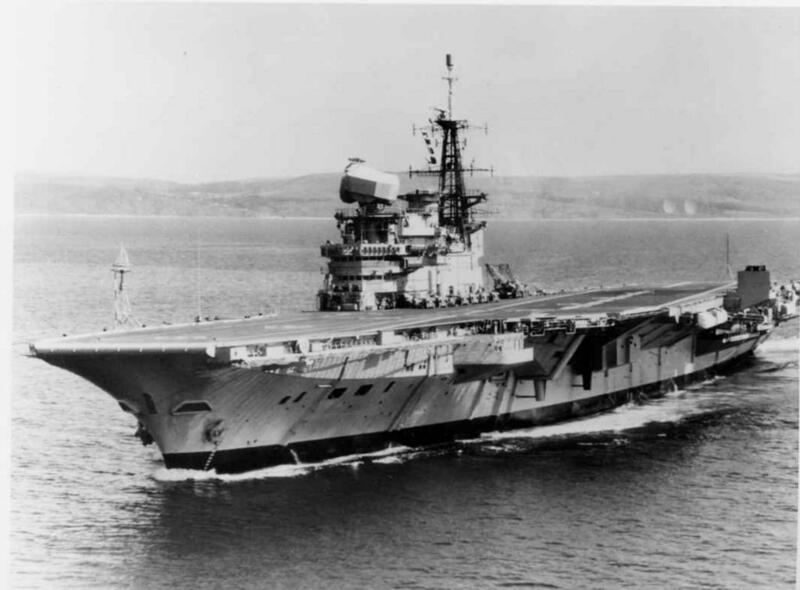 The second ship to have the name HMS HERMES, she was a Centaur class aircraft carrier. Laid down in the Vickers-Armstrong yard at Barrow in Furness during WW2 originally with the name HMS ELEPHANT. 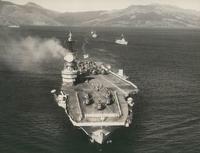 Completed in 1957 she was Commissioned on 18 November 1959 as HMS HERMES. A most distinguishing mark was the massive Type 984 "Searchlight" radar, a very advanced 3D radar for the period. She served mainly in the Indian Ocean until 1970 operating Sea Vixens. In 1970 she refitted aa a Commando Carrier in 1973 where she went on to serve until 1982 in that role. Having recently been decommisioned she was immediately refitted on outbreak of the Falklands War. 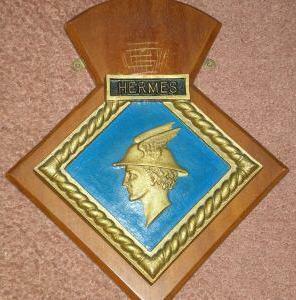 HMS HERMES served as the Flag Ship for the war until April 1984, when she was taken out of service. In 1986 she underwent further refit and was sold to the Indian Navy as Indian Navy Ship (INS) Viraat in1989. She was a small Aircraft Carrier to operate large jets. Many Sea Vixen Pilots testify to the the difficulty, especially at night.